So... None of the other RPs I've suggested have gone anywhere (yet). So I was wondering if anyone here wanted to create a new universe to RP in. I'm thinking WereWolf vs. WereWolf hunters. NO VAMPIRES. And this is not the twilight 'bigger version of a normal wolf' type of WereWolf, this is Skyrim/Van Helsing type WereWolf. Leave any suggestions bellow below if you so choose. Would this be one of those where some people are on the WW side and some on the Hunter side, and it's sort of a vs. thing? Well, it's not like there would be hundreds of Hunters. The same goes for the WWs. I was thinking that the Hunters would be independent. Maybe a few squads of Hunters, but nothing on a large scale. And again, same goes for the WWs. It's not an all out war, just Hunters trying to protect the innocent from WWs who have no control over what they do. Maybe a few WWs could control transforing, but only very powerful WWs would have that ability. Hmm... how would the WWs be RPed, if they can't control themselves? Or would all the players be on the side of the hunters? I was thinking that people who RPed as WWs would control their human form, and then when full moon happens, they transform. They would still control themselves as WWs, but if you're in a room with people you care about when you transform, they're probably gonna die. Well, I might be up for trying such a thing out to see how it goes, but I can't say the setting actually sounds that interesting to me. But, I know I initially think the same way about lots of other things which I end up liking, so I usually give things a shot first. So yea, I'd try it out if some others were interested as well. 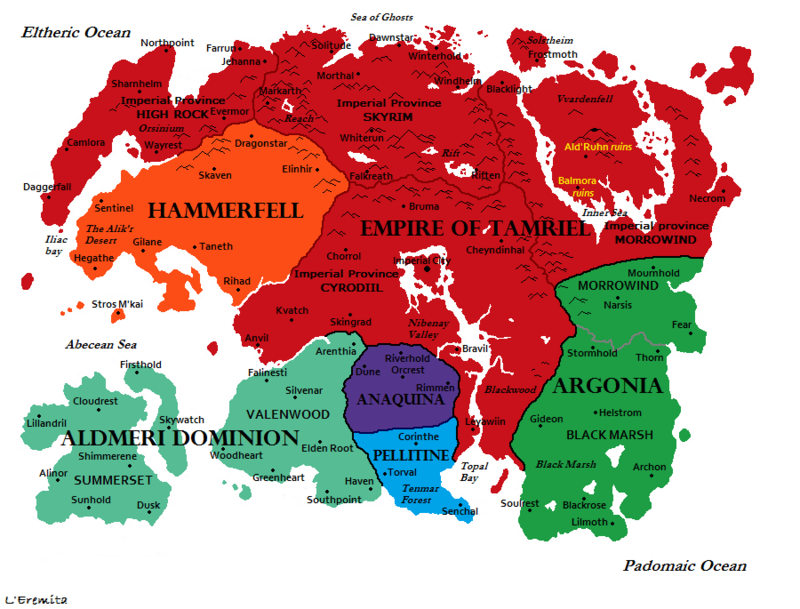 Maybe to make it simpler, we could switch the setting to the Elder Scrolls universe. So the rules would already be in play. Not everyone has to be a WW. You could be a Vamp if you really wanted, I guess. Elder Scrolls tech and magic is kinda boring from what I've seen though. Skyrim and Morrowind have Dwarven (Dwemer) tech/magic, which is fairly interesting in my opinion. Have you played Skyrim or Morrowind, or just Oblivion? Just Oblivion, though I've seen a lot of Skyrim - and yeah, I've heard that Oblivion does have the most boring world, and Morrowind supposedly has the most interesting, but I haven't actually seen or read up on the weirder or more interesting elements. Skyrim's world is more interesting than Morrowind's, at least for me. But Morrowind is generally accepted as the most interesting. Well... I do know that Olivia, Ty, and Jason have never played a TES game, though Chris has. But it's got a pretty basic world, so a bit of wikia reading would be enough to get someone up to speed, if they were interested. Or one could always play the "My-Character-Has-Amnesia-And-Knows-Nothing" card. ^ - That totally sounds like something she would do. Does it? After I read 250 pages of RP before ever posting in Legacies? There was semi-interest, from Olivia and I anyway, we just had last posts in this thread. If anyone is interested in this RP, then by all means don't archive it. But the S.T.A.L.K.E.R. RP that my friend and I were hoping for isn't going to happen. Might as well archive that particular thread. As previously stated, if anyone is interested in a Tamriel based RP that would be great. Give me something more to do this summer. I'd be up for it if one more person signed on, and Olivia sounded at least sorta interested. Any ideas for a beginning plot? I was thinking that this could take place after the time of the Dragonborn. So something like 200-300 years after the events of Skyrim and its DLC. The Empire is on its last legs, and the Thalmor are waiting for the perfect moment to crush them. Also, at this point in time according to lore, the Argonians of Black Marsh would have seceded from the Empire and have forcefully taken over Morrowind. So Morrowind and Black Marsh are their own separate faction. This RP would take place in a time of immense political turmoil. Two large factions, that being the Thalmor and the Empire, are wrestling for control. And the Argonians are just trying to keep those two out of their borders. EDIT: Map of the faction areas incoming. Was going to make my own, but this one replicated what I was going to do.